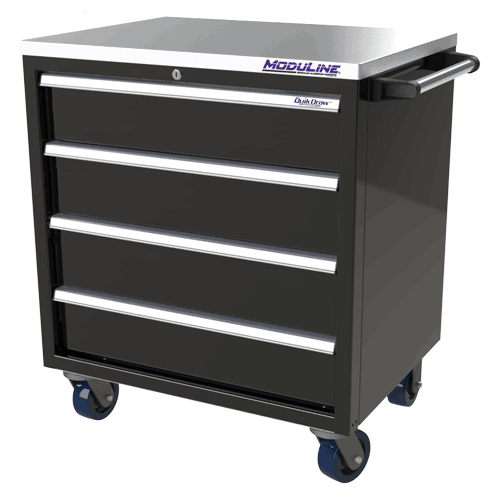 Moduline Aluminum Tool Boxes are available in many sizes and configurations as shown below. 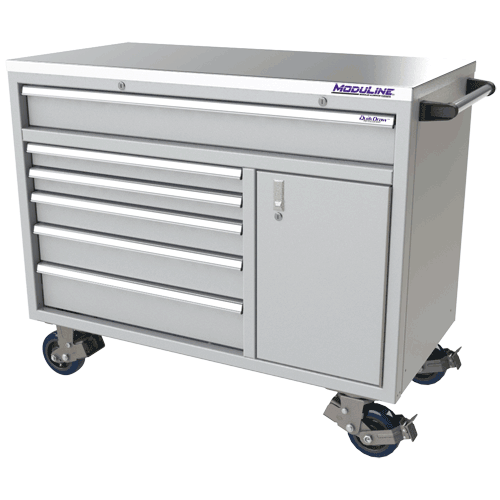 If you don’t see exactly what you want, no problem, we can make a custom Aluminum Tool Box to meet your needs. 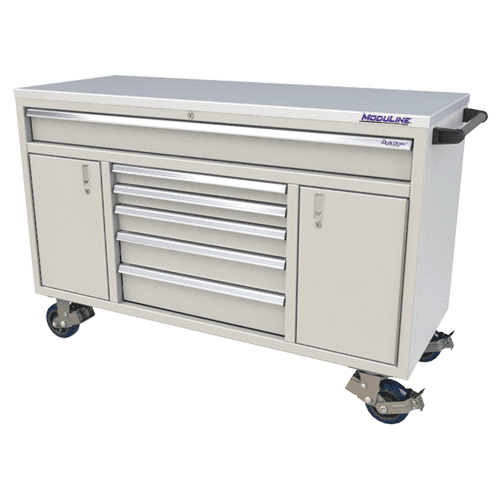 Standard in 32”, 48” and 60” width, these lightweight Aluminum Tool Boxes are well equipped with our patented QuikDraw® single-action latch system, a stainless-steel top, heavy-duty locking casters, security locks and extreme drawer liners. 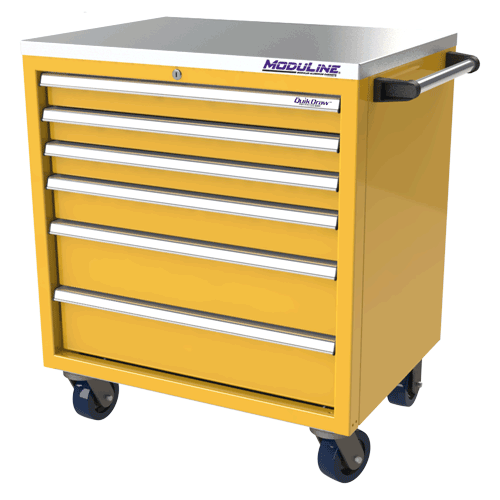 They are lightweight and easy to transport. 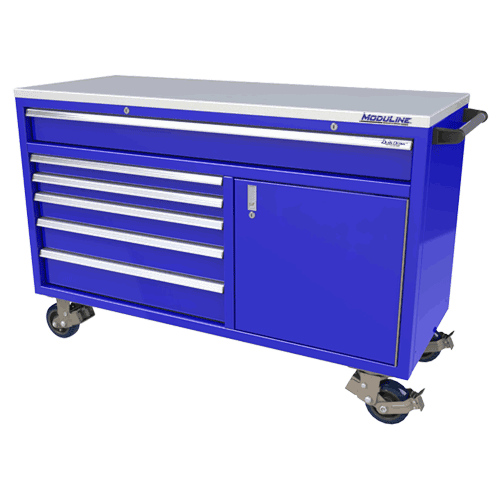 They roll smoothly for easy tool and part access when on the job or in the shop. 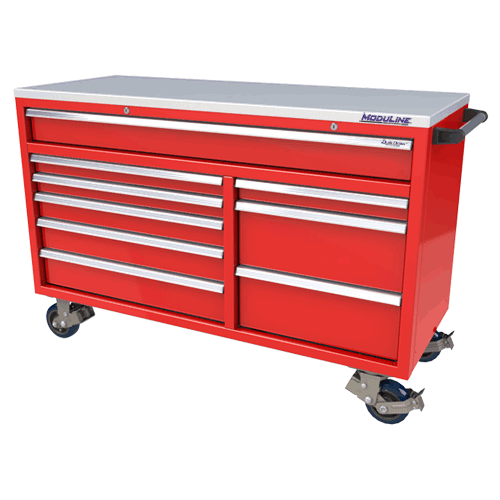 Remember, if you don’t see exactly what you need, give us a call and we will make a custom Aluminum Tool Box to meet your personal needs. 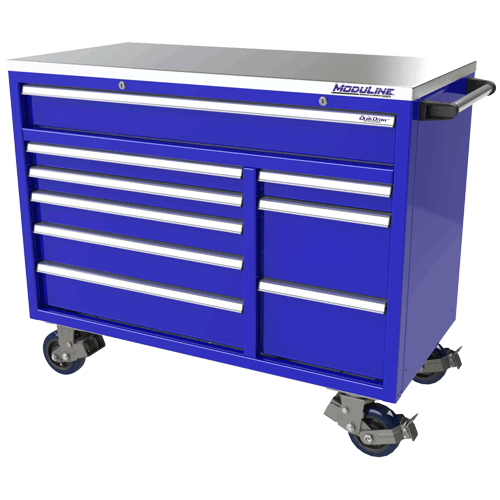 Fill out our Get Started form to tell us what you are looking for or call us at 888-343-4463 today.